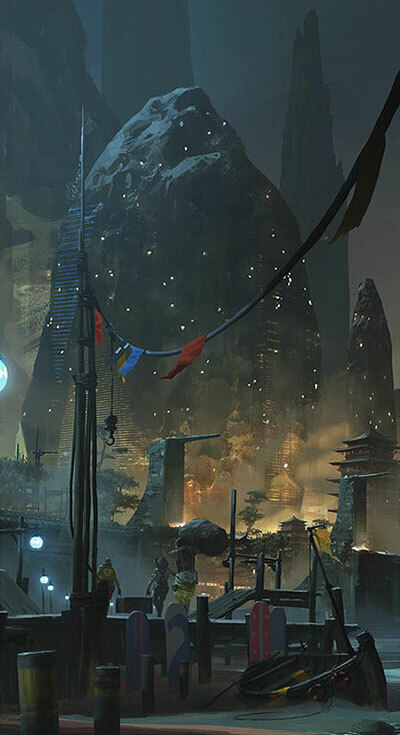 Ryan Gitter is a Concept Artist based in Austin, United States of America. 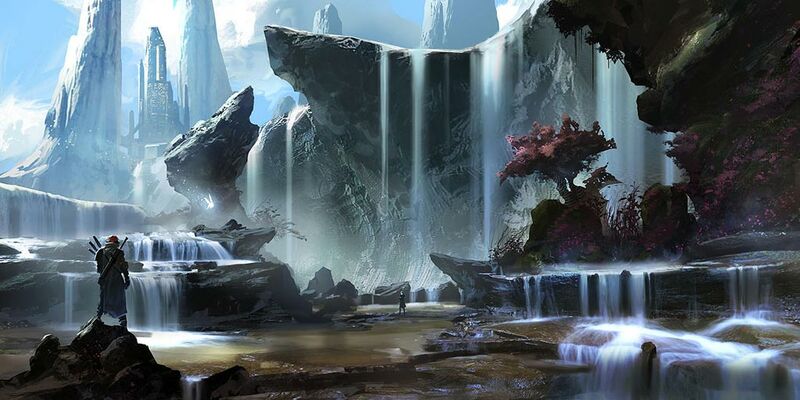 He’s employed as a Senior Concept Artist at Certain Affinity, and has worked on several notable projects including Call of Duty: Ghosts, Halo 4, and PlanetSide 2 to name a few. I grew up always drawing and wanting to be a comic book artist. I eventually went to art school in Detroit and majored in Illustration. I discovered concept art about halfway through school and that’s been my focus ever since. What motivated you to create art? This one is pretty simple for me, I really like telling stories and creating worlds, and illustration/concept art is the most effective way I’ve personally found to indulge in that. Everything, the world, books, and movies, also other artists, that’s a big one, whenever I’ve got “writer’s block” I just dive headfirst into other people’s portfolios or ArtStation, or anywhere else where there’s artists that I admire. How did you come to the decision that you’d like to pursue a career in concept art? I saw the Star Wars concept art books when I was in college and that was it. It was a combination of so many things I like that I had to give it a serious go. Have you studied art at any point throughout the years of experience you’ve had in the industry and, do you believe that it is necessary to do so? I did and I do, thought not necessarily at a university or some equivalent. I think it just depends on your ability to self-discipline and your preferences in learning styles. There is more than enough educational material online these days to learn to be a concept artist, but it takes time. School can be really expensive, but in return you get time to really hone your skills, and you usually get exposed to lots of other art disciplines, which is always a good thing. Whatever path you choose it will take time, I think the ten-thousand hours minimum to mastery is true for most people, and some degree of talent to start with is also pretty much a must. Has your approach to art changed overtime, and if so, why? Probably, but it’s hard to say exactly how and when it changed. I definitely think I’ve gotten a lot better since I started in the industry and I think my process has evolved as I learn more about my own strengths and weaknesses, but I think that is natural. Some things I intentionally adapted like learning to photo-bash effectively or incorporating and learning 3D software. Walk us through your usual work-flow from start to finish. I almost always start with a number of very rough b&w thumbnails, usually around 10 of them. I thumbnail in Photoshop and work very zoomed out so that I can’t focus on details. Once I find a composition and value arrangement that I like I add a good amount of detail while still working relatively flat, 1-3 layers max and flattening often, and still no color. Once I’m generally happy with the image I rough in color with an overlay layer until I like it, then I copy everything and flatten it and then break it into layers with the lasso tool. This is where I consider the polish phase to begin, this is also the point where I’ll start to add photo textures and any screen grabs of 3d renders I might be using. This stage basically just consists of painting in details and making sure the image is working. That’s basically it there’s little variations with every painting, but this is generally the process I’ve worked with for the last few years. Describe some of the challenges you’ve had to face throughout your career. The biggest thing is facing the fact that you will always have to adapt and learn a new skill or you risk becoming irrelevant. For me the biggest thing was learning 3D, which I’m still pretty basic at, but have seen how beneficial it can be to a concept workflow. When you first began working as a Concept Artist at Certain Affinity, did you have to change the way in which you work in any way? Not particularly, but I’ve definitely learned a ton, they’ve done a pretty amazing job at hiring some truly gifted concept artists and it helped me tons getting to work with these people. You have a lot of experience working with world-building projects, where do you begin when you are asked to realize a world? I really can’t claim to be expert on this subject, but from my experience the best way is in some ways analogous to the painting process I described above. Start rough and broad stroke, try to avoid getting hung up on details early on and let the specifics evolve out of necessity. Do you believe that working on personal artworks in ones spare time is important, and if so, why? Definitely, it keeps me sane and keeps my skills sharp. As much as I enjoy my professional work, and I really do, it’s always done for someone else and someone else always has the final say on decisions. There’s definitely a certain satisfaction when you are making all of the creative decisions on something. What’s next for Ryan Gitter? Ha, that’s a very good question… I’d definitely like to see my personal project (Domovina) go somewhere beyond my website, maybe an art book or one day a game. 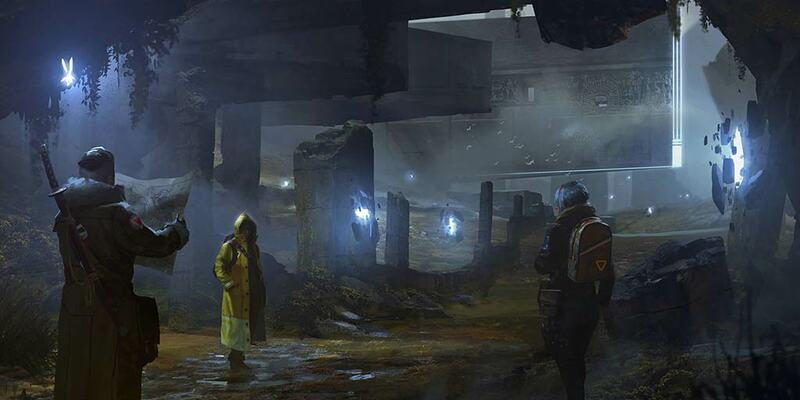 I could also see concept art for film as an option at some point too. © Ryan Gitter or their respective copyright holder.